The UT4 is designed for simple control of trains and their functions. Operators worldwide told us what they wanted in an affordable, easy to use “operator’s” throttle and we made their dreams come true. 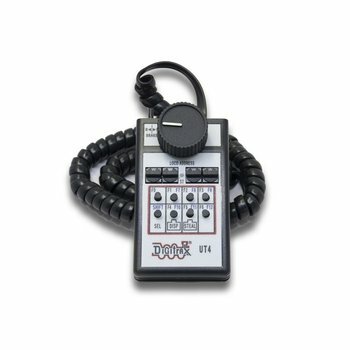 The UT4 is perfect if you’re looking for a “traditional” style throttle. 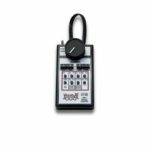 They are ideal for operating sessions and are great for novice users as well. Their intuitive operation makes them easy for anyone to use. It is factory equipped with Infrared LEDs for wireless operation using a UR90, UR91 or UR92. All of these panels have infrared receiver capablities. 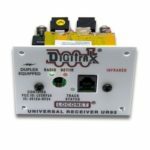 SKU: 245-UT4 Category: Throttles and Control Tag: Digitrax 245-UT4 Brand: Digitrax, Inc.